With the warm weather rolling in to say for a while, I thought it was time for me to create a few light dishes for the blog. 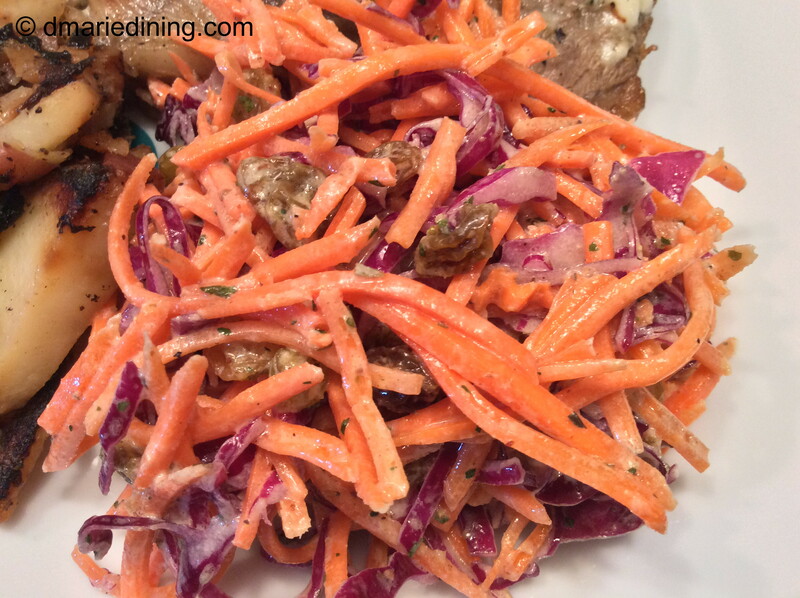 Simple Slaw is just that …. simple. No fuss. No cooking over a hot stove. This recipe is as I said, just simple to prepare. Summertime is my second favorite time of the year. My favorite time of year is fall because I love wearing sweaters and fall weather allows me to do that. Summertime, is the other favorite because I don’t have to wear a coat and I can wear sandals instead of shoes. I am a southern girl at heart so wearing shoes is the last thing I want to do in the summer. Plus, summertime forces me to paint my toenails to add that cute factor to the sandals. In the winter, what’s the point of painting your toenails if nobody can see how cute they are. Some may say “well why not paint them for hubby”? To that I say, he barely sees my toes in the house since we all wear socks to walk on the hardwood floors. Besides, winter is cold and you need to wear socks. But, I digress. Back to summertime and recipes. 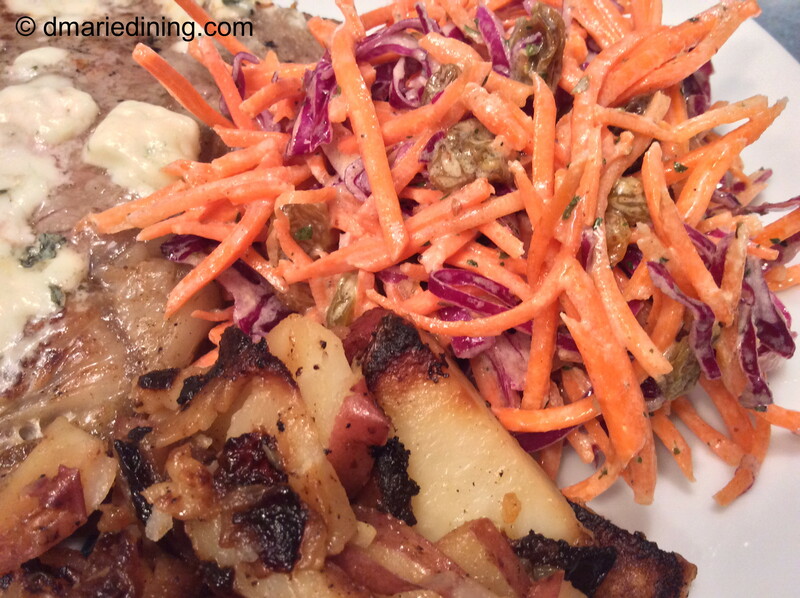 Simple Slaw pairs well with just about any entree. I have prepared it with steak and potatoes as well as with hot dogs and baked beans. I think this would be a great dish to take to a picnic or barbeque because it travels well. There is no concern about mayo in the dressing so the slaw will keep much longer if sitting out. I know I have said this on a few occasions and I will say it again, colorful dishes are important to me. Besides the wonderful smell of food, the appearance of food helps to make a meal taste delicious. We first eat with our eyes then with our tongues. 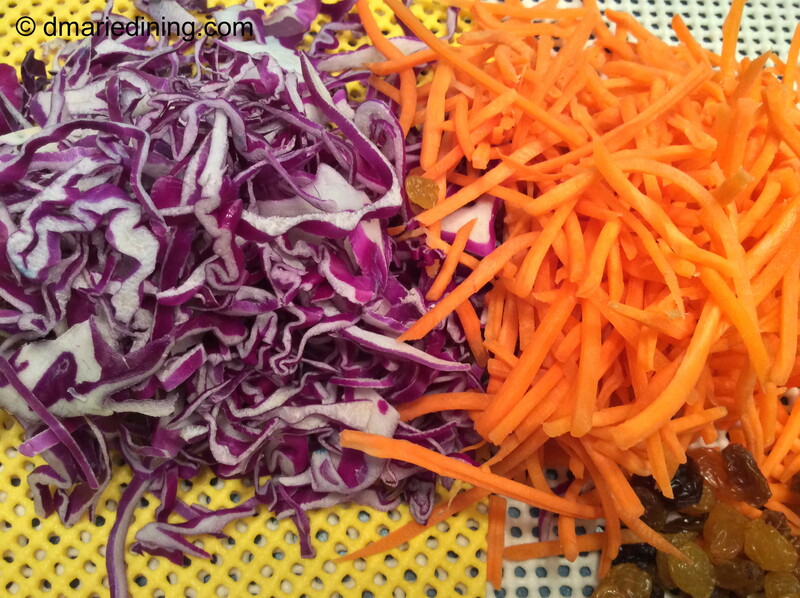 So the beautiful bright orange of the carrots and the deep purple of the cabbage will entice you to want to dig in. Go on. Try it! I am sure you will enjoy this light summertime dish. Whisk together dressing ingredients in a small bowl and set aside. 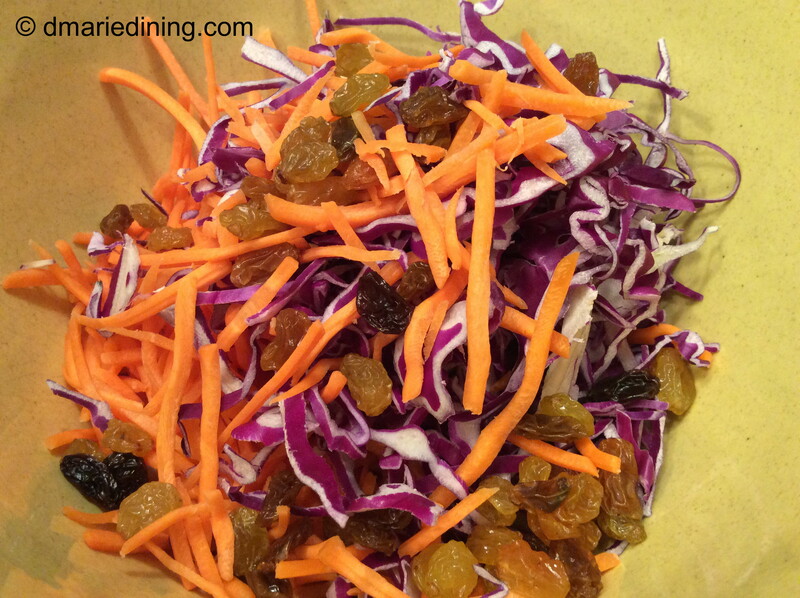 Combine red cabbage, carrots, raisins and seasonings into a large bowl. 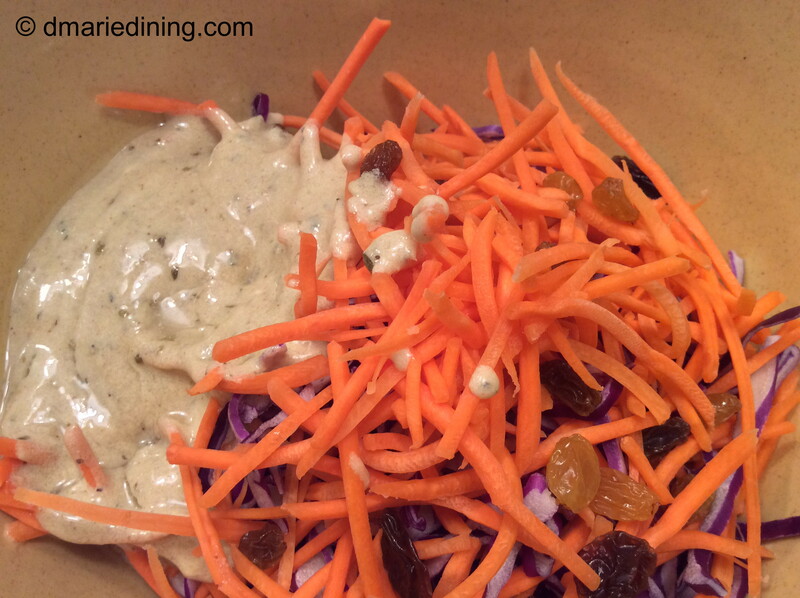 Pour dressing over slaw and mix well. Cover with plastic wrap and allow flavors to marinate for 30 minutes. Stir again prior to serving.